The speed testing service rates Jio ahead of Vodafone and Idea in download speeds, and ranks it third in download speeds. Airtel remains constant at fourth. Reliance Jio has the fastest 4G networks in India right now, says TRAI’s MySpeed internet speed testing service. In its most recent results, Jio is at the top with 16.3Mbps average data speed, followed by Vodafone and Idea at 9.2Mbps and 7.3Mbps respectively. While the company leads in download data speeds, it is behind both Vodafone and Idea in upload speeds. TRAI’s MySpeed cites Vodafone with best average upload speed of 5.2Mbps, while Jio comes in at third with 3.1 (3.06) Mbps. Airtel comes in fourth in both cases, with average download speeds of 5.8Mbps and average upload speeds of 3.1 (3.05) Mbps. Interestingly, while data speeds for most of the telcos are quite high, the MySpeed app rates most of them “average” in terms of 4G coverage in the country. Jio, Vodafone and Airtel are all rated average by the app. 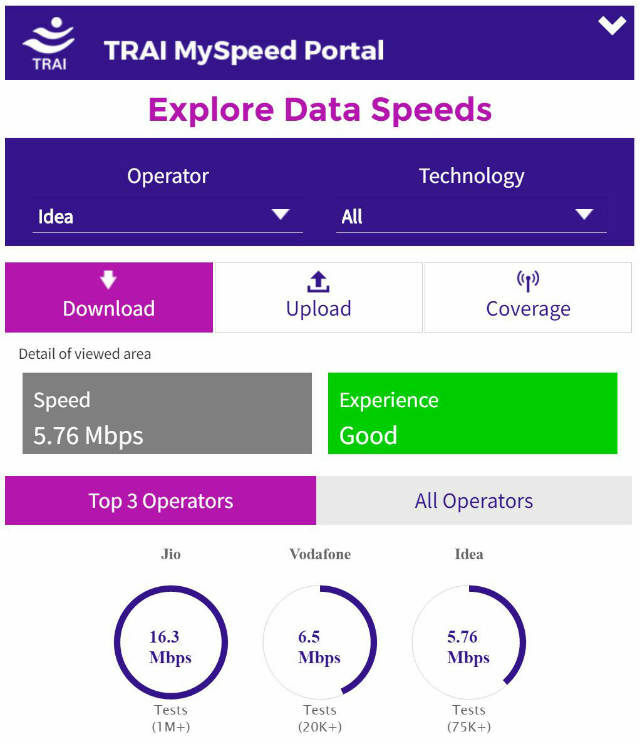 Idea, though, gets a “good” rating from TRAI’s service. Since the advent of Jio, we have been witnessing a radical reduction of data service costs from all telecom operators. Airtel India’s latest announcement provides 1GB of 4G data per day and unlimited calls for 28 days at Rs. 345, which is aimed at rivaling Jio’s Prime subscription offer that provides the same data and unlimited VoLTE calling for the same duration at Rs. 303. 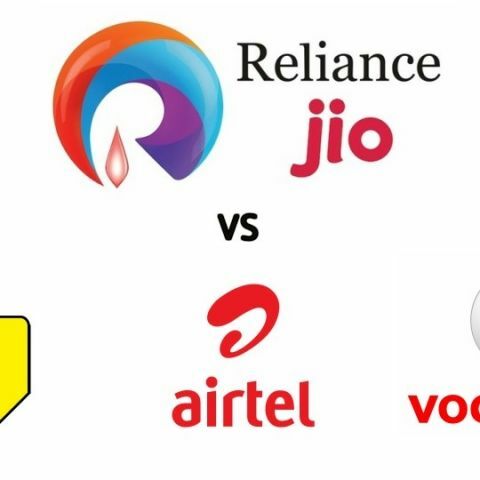 Idea and Vodafone have also introduced similar plans at competitive pricing. It remains to be seen how the country’s telecom landscape shapes up, with Jio’s Prime membership plans coming into effect from April 1, 2017. While many have complained about not-so-enthralling, Jio speeds, most seem quite satisfied with the service so far, and the latest speed test results from TRAI make Jio’s plight even stronger in the face of stiff opposition from other telcos.